North Carolina Will not tolerate Unconstitutinal Bills and Laws. We are seeing a Trend, A lot of states are passing unconstitutional Laws. Maryland already has 1 life taken over there unconstitutional Red Flag law. 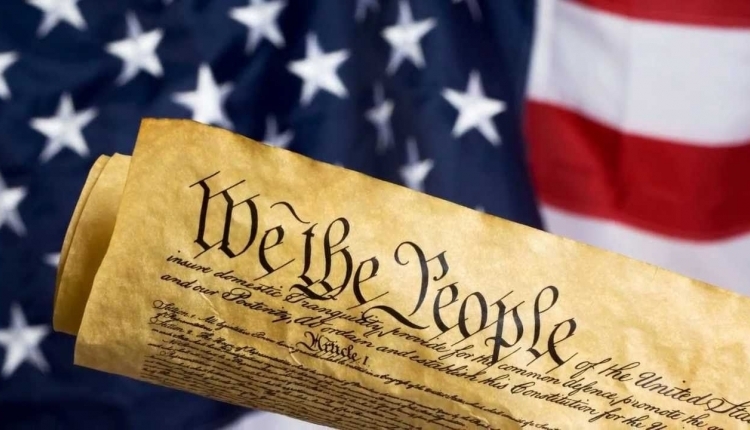 WE need to let our elected officials here in North Carolina know.. We will NOT TOLERATE ANY unconstitutional Bills becoming Law.. and as on right now... there where 2 in our state congress. One in each chamber.. NC H976 and Senate Bill 734 was unconstitutional and thank god it was killed. But that don't mean it wont be introduced again. We the people cannot not stand idly by and allow Bills like this to be even considered. We need to let out State representatives know, They work for us and we will not allow unconstitutional bills and laws to be crammed down our throats. I represent the People of North Carolina. We are tired of unconstitutional bills as well as Laws being passed by states and the Federal Government that Violate the Constitution. Especially the Red Flag Laws and Bills. These Laws and bills break at least 3 Constitutional Rights, Such as Amendment 4. Which Bars the Government from UNREASONABLE Search and seizure of an individual and or their Property. The 5th Amendment that states any Criminal Charge must be started by a Grand Jury, not by a judge, and a person cannot be convicted of a crime without Due Process. The 5th also states People cannot have property taken away without Just Compensation. Let alone they violate the 2nd, the right of the people to keep and Bear Arms. The Red Flag Laws Also Violate the 6th amendment as well. Not being allowed to face there Accuser not able to plead their case. We already have laws on the books that help Make sure Guns are not in the hands of Violent people. Our founders made sure the citizens are Innocent until Proven Guilty. These bills become law, It will be Guilty until proven innocent. That is NOT what our Founding fathers wanted and that is NOT the foundation on which this nation was build. We need to enforce the laws we already have. It is also a well known fact that criminals will NEVER OBEY any law. The two Bills that where in the state congress, NC H976 and Senate Bill 734, was unconstitutional and thank god it was killed. But that don't mean it wont be introduced again. We the people cannot not stand idly by and allow Bills like this to be even considered. We need to let out State representatives know, They work for us and we will not allow unconstitutional bills and laws to be crammed down our throats. The North Carolina Will not tolerate Unconstitutinal Bills and Laws. petition to North Carolina Governer, North Carolina congress was written by John TOP and is in the category Politics at GoPetition.